I don’t make doll clothes very often. My daughter doesn’t often play with her American Girl dolls. (She is more of a stuffed animal kid. She LOVES her stuffed animals.) She likes to stage her dolls – dress them up and make scenes with what they are doing – whether it be having a picnic in the corner of her bedroom, sitting on a pillow reading a tiny book, hanging out in a vintage wooden doll high chair and feasting on some yummy plastic food or taking a very long nap in the doll cradle – then they sit there for a month or two. 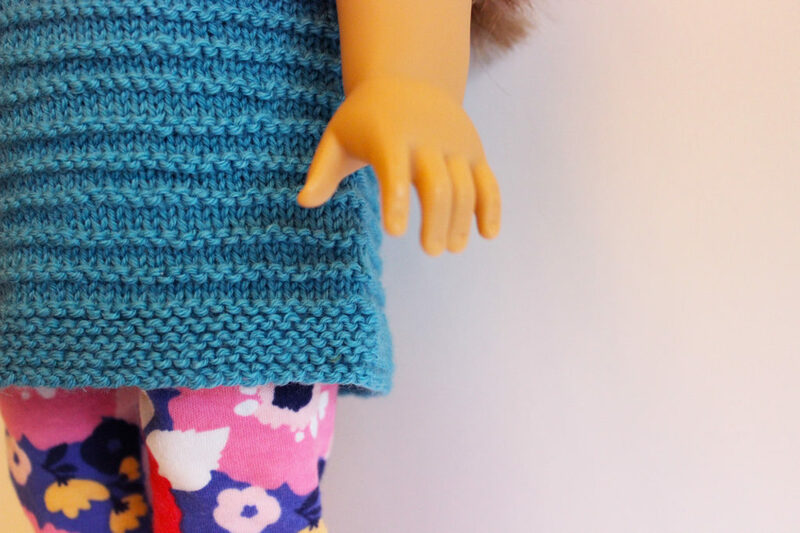 At that point, the doll’s outfit is changed and then she is restaged doing something else. 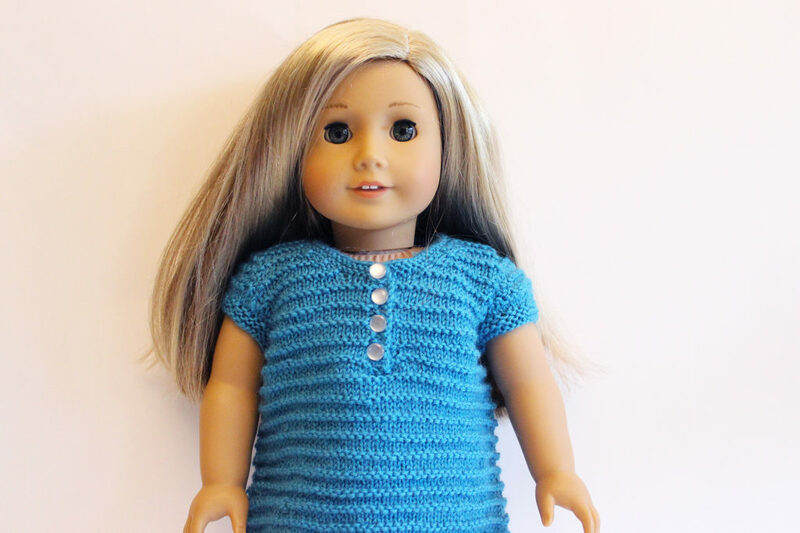 While perusing Etsy for yarn patterns, I came across hand knit doll clothes patterns. 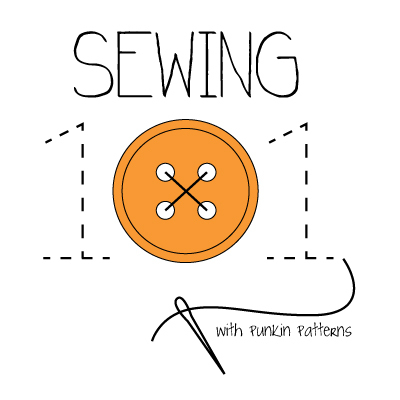 I got excited at the idea of knitting some clothes for a couple reasons: first, it would use up some of the yarn in my (now shrinking) stash that doesn’t have a project in mind – or did and it changed – it happens. Second, it would be fun to knit a tiny sweater or tiny hat – because everything tiny is way cuter, right??? 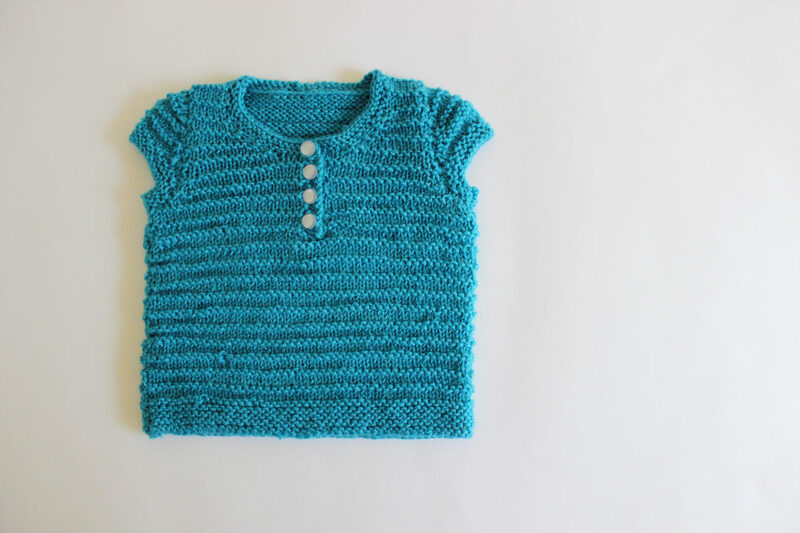 I purchased the Ella Henley Tee pattern by Steph Wylie via her Etsy shop Qute. I started this sweater quite a while ago – maybe 2 Christmas’ ago?? It got put aside and I couldn’t remember why. 2018 is my year of trying to finish UFOs (among many other goals). So, I picked it up and quickly realized I had to start over – oh, ya, that’s why it was put away. Determined to finish, I recast and in the end it came together quickly and easily. I used one skein of Dale Baby Ull Merino yarn in color 6435. 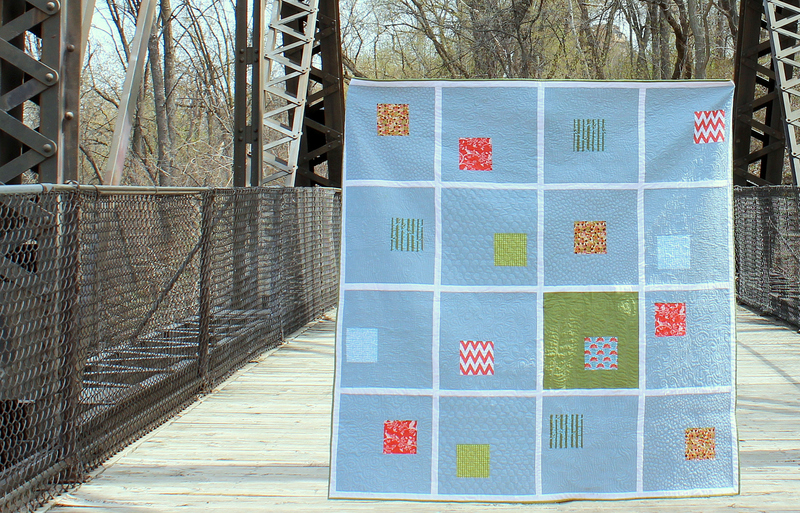 Almost the entire skein was used which is great! 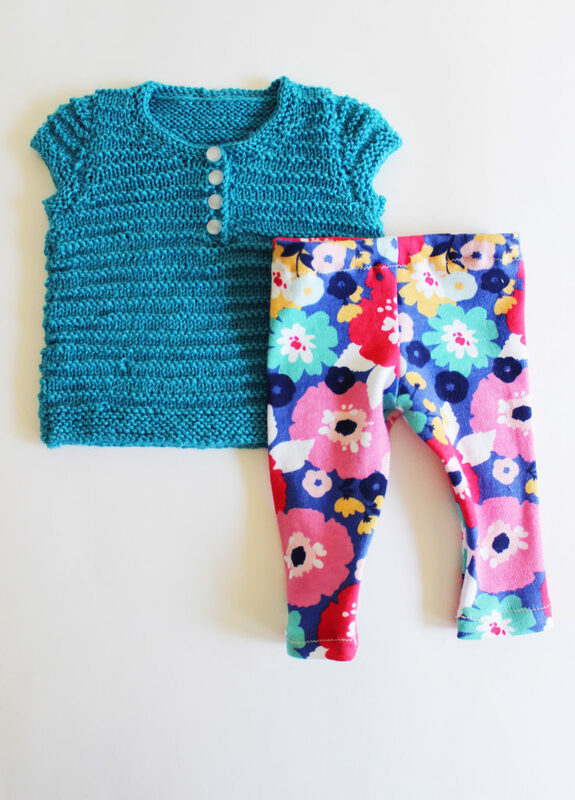 1 less skein in the stash and one doll sweater made! 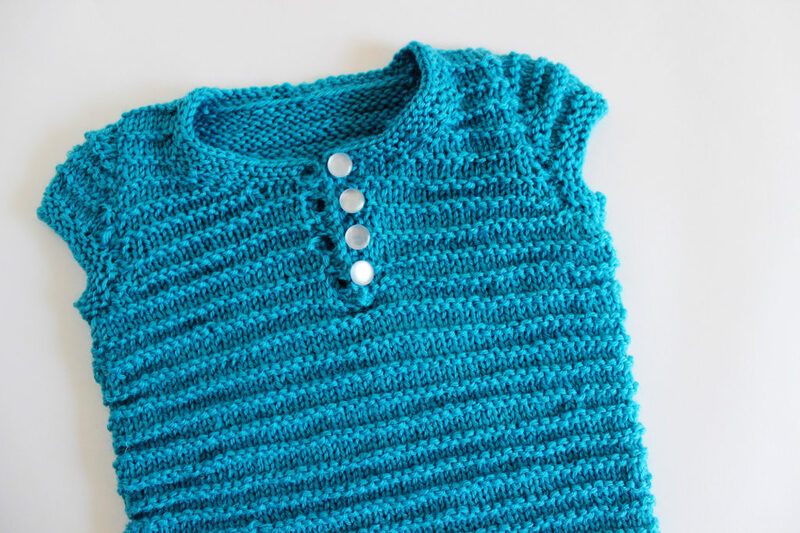 Probably one of my favorite features of this little sweater is the buttons and tiny button loops! So it can really open and close. 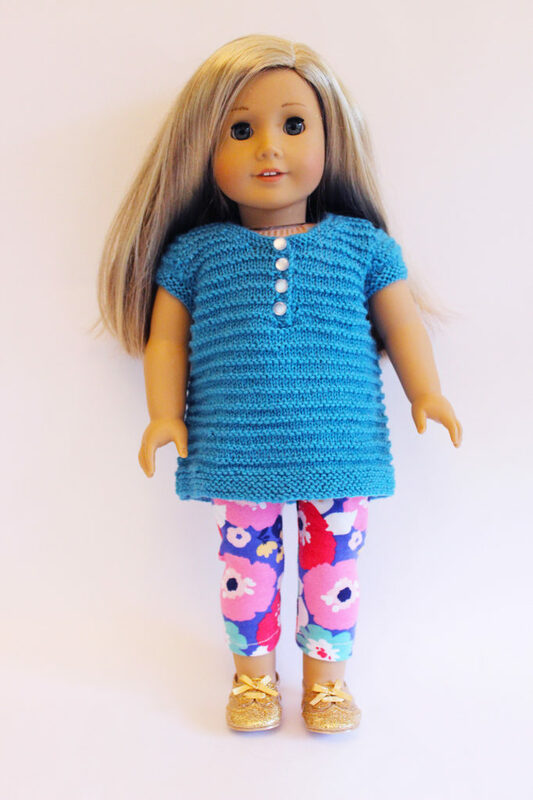 Once the sweater was done and blocking – it became clear that this doll needed a pair of pants to complete her new outfit. While I mentioned that I don’t sew doll clothes often, of course, I still collect sewing patterns for doll clothes. Haha! I went through the patterns and chose a pair of leggings from a Simplicity pattern. 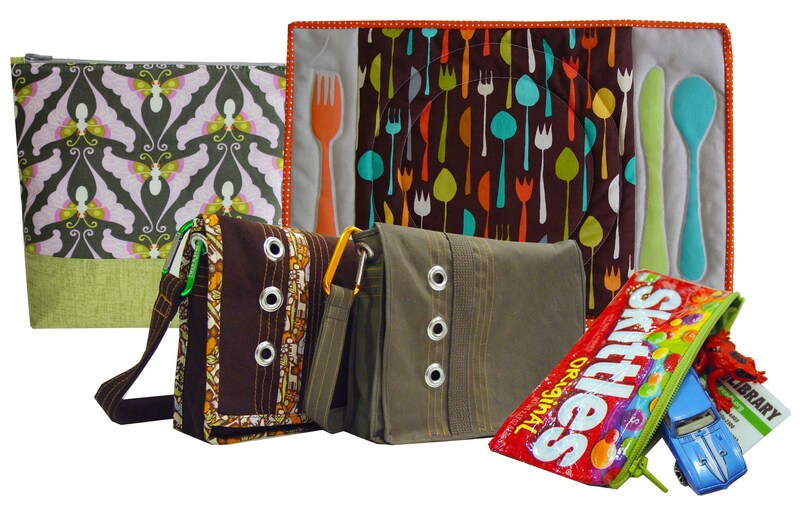 (Simplicity 8042 – View E, to be exact). 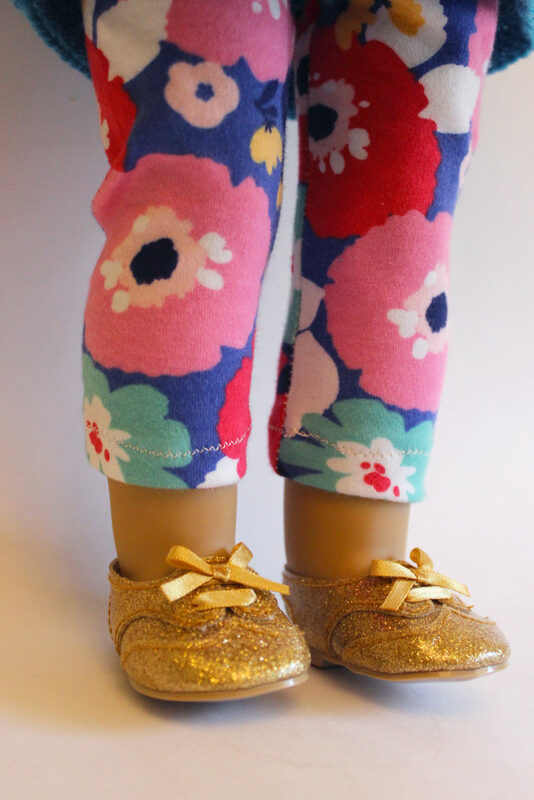 I used scraps from a previous tank I made for Gwyn out of double knit and in about 20 min I (I mean Isabelle, the doll above) had a new fancy pair of floral leggings. Paired with some gold sparkle shoes and the outfit was made!